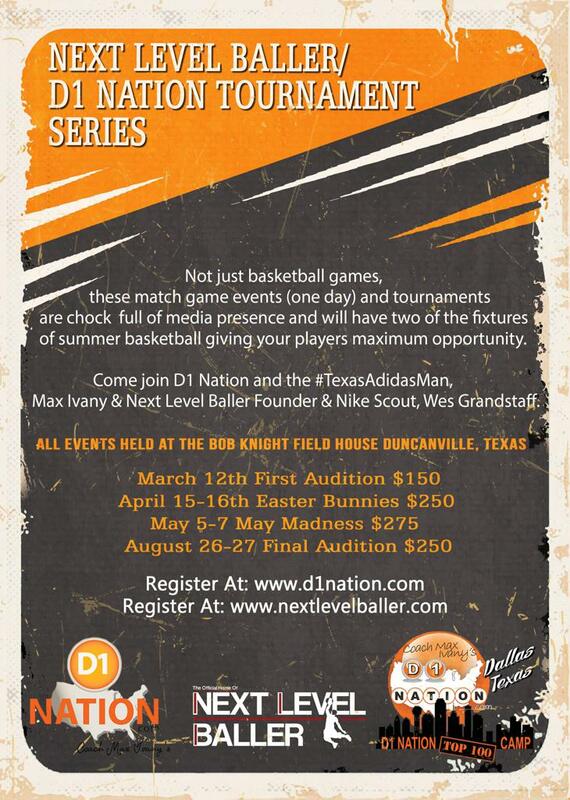 To give low, mid major and major prospects (whether they are on shoe sponsored teams or not) a forum to display their talents under the watchful eye of the D1 Nation and their recruiting experts. Academic performers and athletic performers will be recognized. In turn we will appraise colleges of talent on these teams, increasing exposure and access to college scholarship opportunities. This is your opportunity to get “plugged” in to Coach Max Ivany's recruiting pipeline.